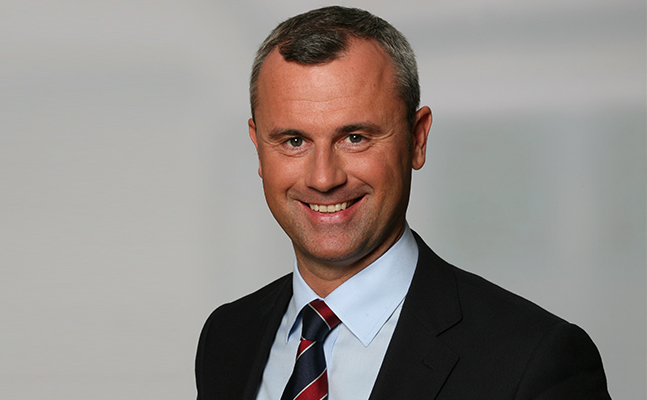 The candidate of the Austrian Freedom Party Norbert Hofer won the first round of presidential elections in the Alpine republic; he received 36% of the vote. Leader of the "Green" Alexander Van der Bellen and independent candidate Irmgard Griss are fighting for second place and pole place after the second round; they both received about 19% of the vote. The Austrian Freedom Party (FPÖ) is a conservative, eurosceptical party that supports restricting migration, protecting national sovereignty, and the Austrian identity. The party consistently opposes the anti-Russian sanctions and supported the reunification of Crimea with Russia. The party's popularity is growing against the background of the EU’s problems, and managed to take second place in the elections of the Landtag of Vienna last year. The Austrian Freedom Party, in the first tour of the presidential elections in Austria, showed a growth in eurosceptical sentiment among the population. The main reasons for the EU’s discontent are the refugee crisis and the sanctions against Russia, which have affected Austrian businesses. After World War II, Austria became a neutral country, and its citizens did not like the fact that bureaucrats in Brussels now determine the country’s foreign policy. Another factor is the frustration of the people at the traditional elites. Candidates from the conservatives and Social Democrats, who traditionally took turns with one another for the country’s leadership, received only 11% in the election. Austria is a parliamentary republic, but the president has important powers. For example, he appoints the chancellor and can dissolve the lower house of parliament. The second round of presidential elections will be held on 22nd May. A victory for the FPÖ candidate will mean the significant strengthening of Сontinentalist forces in Europe.